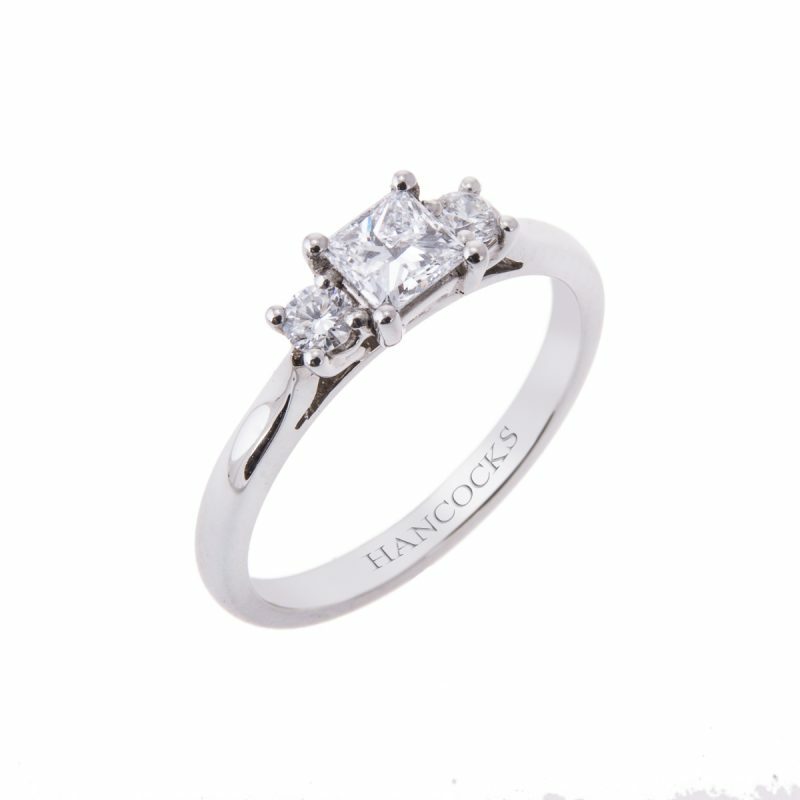 The ultimate in diamond set sophistication, a platinum certificated diamond three stone ring with a central diamond weighting 3.36ct and mounted in a classic 4-claw setting. 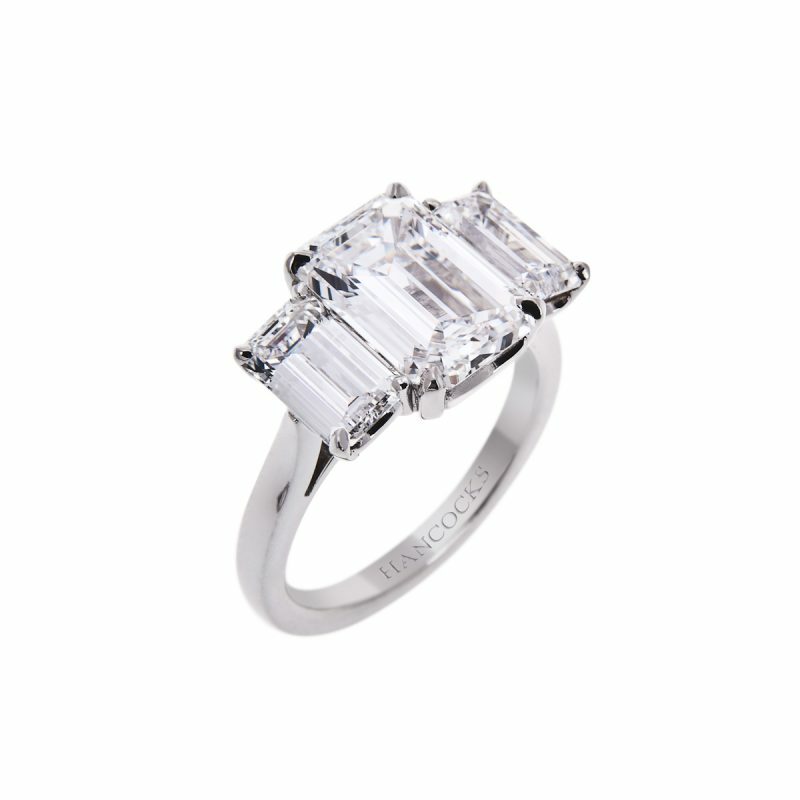 The temptation to gaze a this precious ring is simply too great to resist, making its wearer the object of envious feminine eyes. 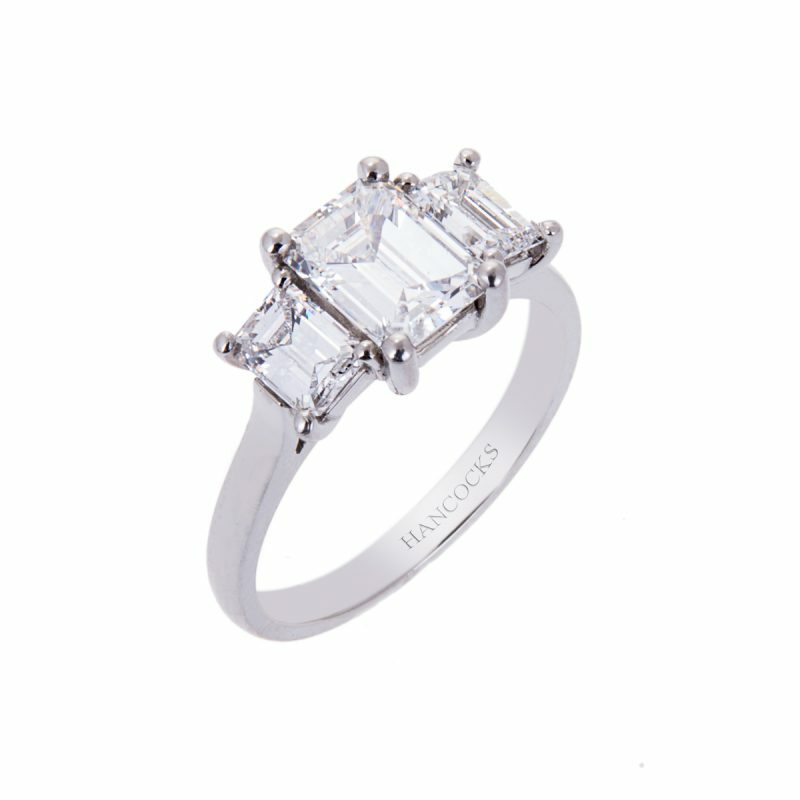 The pure, stark beauty of an emerald cut is quite unlike any other and was hugely fashionable during the Art Deco movement.